The Prayer Book Conflict | Cornwall For Ever! In 1549, the English government created an English language prayer book and said that all churches must use it. This made people in Cornwall very upset because some of them could not speak English. A Cornish army was formed to try to stop the changes. Yn 1549, an governans sownsek a wrug lyver pysadow yn Sowsnek ha leverel bos res dhe bub eglos y dhevnydhya. Hemma a reudhis tus yn Kernow drefen na wodhya nebes anedha kewsel Sowsnek. Lu kernewek a veu fondys rag assaya lettya an chanjyow. Between 1536 and 1549, the English government changed the religion of the Church of England from Catholic to Protestant. These changes stopped Cornish people doing things they enjoyed, such as visiting holy places and celebrating their local saints. The changes to religion also forced places like Glasney College in Penryn to close. Glasney had supported Cornish culture and helped Cornish people to understand religion by writing plays like Bewnans Meriasek (The Life of St Meriasek). In 1549, the English government made an English language prayer book and said that all churches must use it. 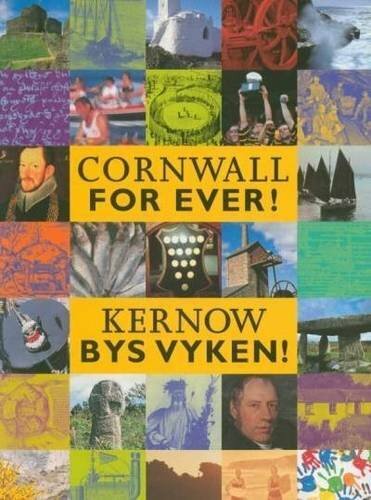 Many people in Cornwall only spoke Cornish and did not understand English. Cornish people were angry that their church service had been changed. They asked the English government to stop making changes to religion, but the government refused to listen. People in Cornwall formed an army and planned to march to London to demand an end to the religious changes. The leaders of the Cornish army were Humphrey Arundell and John Winslade, and vicars from Cornwall also joined it. The Cornish army captured castles in Cornwall and the town of Plymouth in Devon. They then moved on to Exeter where they were joined by people from Devon who were also angry about the new prayer book. The Cornish army besieged (surrounded) Exeter for five weeks. The English government became very worried. It paid for soldiers to come from Germany and Italy to fight the Cornish army. These soldiers, with others from England and Wales, were led by Lord John Russell. The Cornish army fought several large and bloody battles with the government soldiers in places near Exeter. After a battle at Clyst St Mary, the government’s soldiers cruelly killed hundreds of Cornish prisoners. The army of people from Cornwall and Devon was defeated by the English government. Their leaders were executed (killed) in London. After the conflict, the English government killed hundreds more people in Cornwall and Devon to punish them for the uprising. One vicar who had joined the army was hanged from his church tower. Town officials in Bodmin and St Ives were also hanged. The Prayer Book Conflict, and the killings that followed it, had a terrible effect on Cornish culture. The Cornish language started to decline, with fewer people speaking it. Places that had supported Cornish culture, such as Glasney College, were closed. The Cornish were cut off from their Catholic, Celtic cousins in Brittany and maps stopped showing Cornwall as a separate country. After the conflict a man called Sir Anthony Kingston was given the job of punishing the people of Cornwall and Devon. Kingston was a cruel man who had tortured people on behalf of the English government. He hanged Cornish vicars and was responsible for the deaths of hundreds more Cornish people. In 2007, the Bishop of Truro apologised for what the English government had done during and after the Prayer Book Conflict. He said that the government had acted “brutally and stupidly and had killed many Cornish people”.